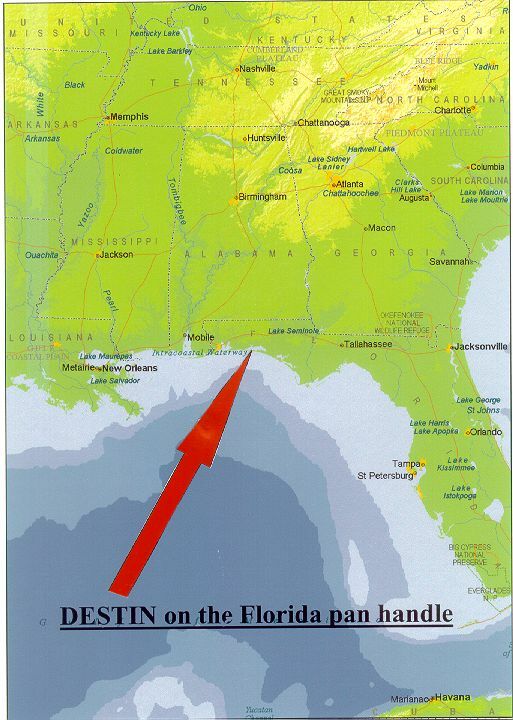 Beautiful DESTIN, situated on the pan handle, Florida's Emerald Gulf coast. The playground for American's and not well known or 'overrun' with Europeans!! Airports nearby: outstanding luxury white sand beaches, swimming pool and amenities. Managed by an agent, the house sleeps ten, and can only be described as an extremely comfortable and well appointed residence. If you are interested, let me known and I am sure that we can arrange some kind of a discount on normal advertised prices.